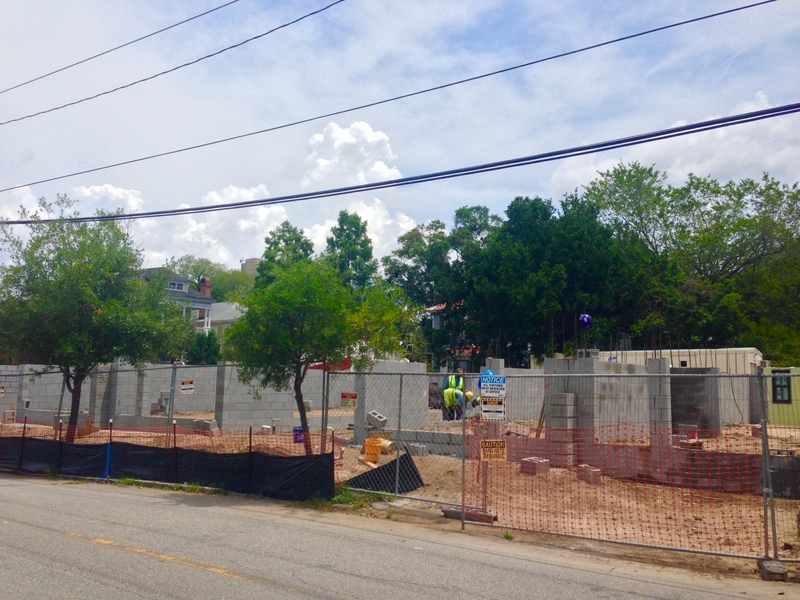 June 9, 2015 – If you were to drive by the site today, you would see the foundations and walls for the garages going in. With these in place you can get a very good idea of how the six rowhomes are situated on the site with two units in each of three buildings. The Harleston Row garages are suited for not just one, but two cars. As you well know, to have a garage in Downtown Charleston is rare indeed! 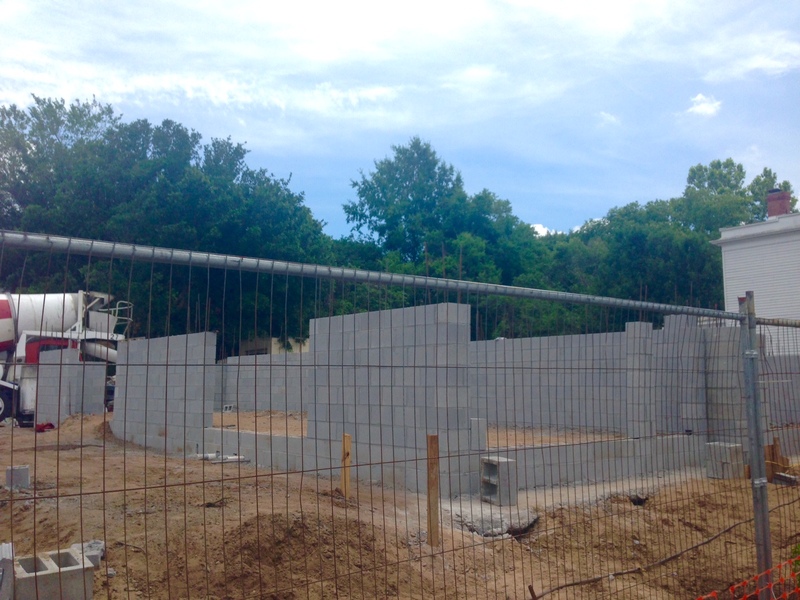 Here is a photo of the majority of the site with the garage foundations and walls. And below you can see the individual garage. For the floor plan and garage layout, navigate to our Floor plans page.